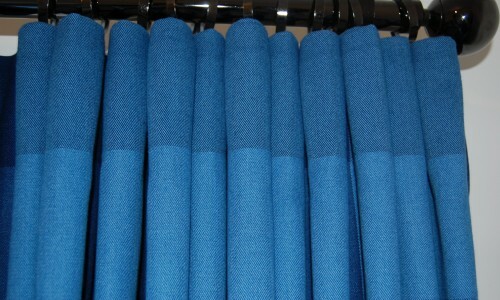 Close up of cartridge pleat in denim check fabric. 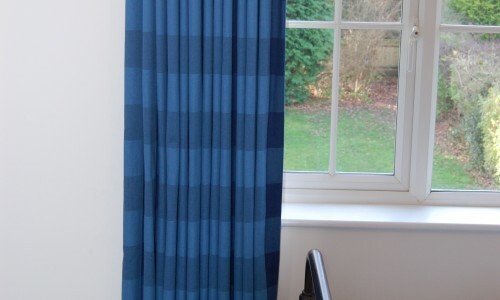 The pleats form neatly when the curtain is open. 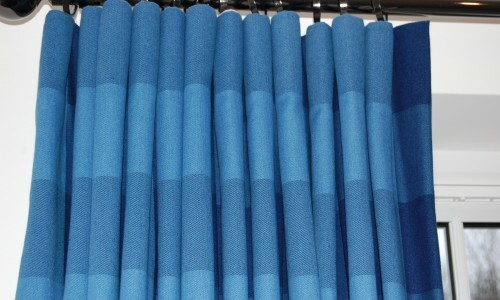 When the curtain is open the pleats stack neatly together. 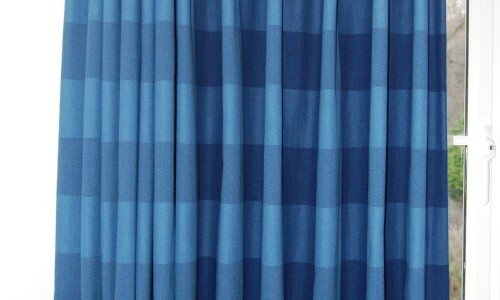 The spaces between the pleats are only seen when the curtain is drawn. 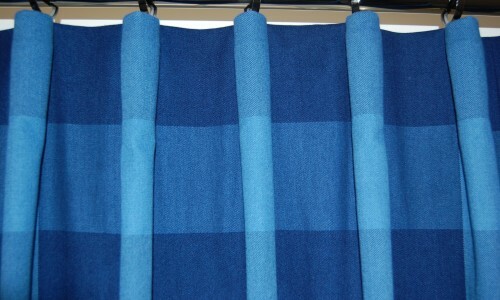 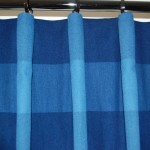 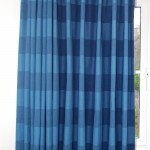 With the curtain closed (on right) the darker check can be seen but when open those checks are hidden. 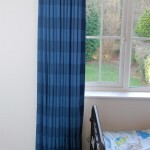 Choice of a cartridge pleat heading makes the most of the checked design of this denim fabric and was an informal heading for a boy’s bedroom. 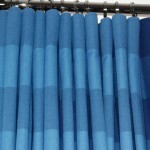 Each pleat was formed at the same point across the horizontal repeat to complement the fabric’s design. 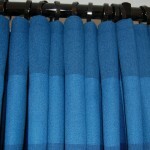 Pleating to the design of the fabric is only possible with hand made headings.